A lot of aerial photographers get their start with drones by getting ready to fly drones like the DJI Phantom, the Yuneec Typhoon, or even the 3DR Solo. 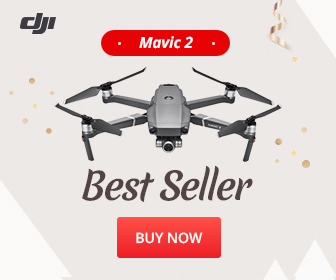 These drones are really easy to use and very plug and play, but some downsides to a ready to fly drone is the fact that they are limited in the payload they can carry, they aren’t customized to your exact preferences and they can be difficult to repair yourself. So if you are more of a tinkerer or DYI type of person you should consider building your own customized photography & cinematography drone rig! There is nothing quite as satisfying as seeing something you built with your own two hands fly around and work the way you intended it, so building an aerial photography rig can an excellent option. Another benefit to building your own aerial platform is you really get to customize the rig the way you want, and you have options for building in redundancies which can help protect your drone and keep you flying safer. What to Build? A Quadcopter, Hexacopter, or Octacopter? If you want to carry an expensive camera, it’s nice to have redundancy built into your machine. If a single motor fails, you’re pretty much doomed. Your quad will tip over because one corner is providing thrust but the other isn’t, so the craft is no longer balanced. If a single motor fails, you’ll still be able to hover which allows you time to safely land your craft. If a single motor fails, you’ll notice a slight difference in performance, but the craft can keep flying. Which of these you decide to build is up to you so if you want your drone to carry a simple gimbal and GoPro-style camera then a quadcopter or hexacopter is enough. However, if you want to be able to carry something like a large DSLR camera you’ll need an octacopter for the stability and the redundancy they provide. This post assumes that you already have a radio (a transmitter and receiver) and FPV (first-person view googles) gear in mind. The radio you will use to control your copter, and the FPV gear will include a transmitter that sends video to a receiving device which displays the video on a screen or on a set of goggles. If you need more information on choosing FPV gear then definitely check this website out. There are various sizes for a quadcopter which all really depends on the payload you want to carry. Normally choosing parts for a good build depends on the payload you need to carry and how much flight time you wish to get from one battery. Overall, the preferred sizes for a quad are 450mm and 550mm. This measurement refers to the diagonal distance between two motors. Important note: The larger wheelbase allows for larger props. That’s why you’ll see that the 450 size uses up to 10 inch propellers, whereas the 550 can fit up to 15 inch propellers. As for LiPo cells, 3S will be slightly less powerful, and 4S will provide more punch. Larger propellers are more efficient than smaller propellers. You won’t see quadcopters bigger than 550 mm because anything bigger usually will be a coaxial rig or something with more motors for added redundancy. Hexacopters are generally more preferred in serious aerial photography applications. Depending on which quadcopter you have, it can border on hobby-professional, while hexacopters are fully professional rigs. You can choose to build a hexacopter yourself, or you can use the DJI Flamewheel 550 kit, which includes everything out of the box and most of the flight settings are preconfigured, so you have a stable rig right away. All you need to do is connect the rig to your radio. As the name suggests, hexacopters have 6 sets of motors, ESCs, and propellers. Payload: these setups aren’t that much different in terms of lifting power from a normal quadcopter so these could lift a max payload of around 2kg (or 4.4 pounds). Usually with a rig like this you are mounting a high quality gimbal with a GoPro or a similar sized camera, or maybe even a small dSLR. Once you get into the octacopter space, you’re are looking at serious aerial photography applications which are used by agencies and professionals. An octacopter is basically a copter with 8 sets of motors, ESCs, and propellers, and you can usually find these kind of setups on movie sets . These crafts are capable of carrying a 5kg payload (or 11 pounds) and as well as bigger DSLRs or even small RED camera setups. The sweeping epic cinematic shots you see in films these days are shot using octacopters. They are also very large and impossible to carry on your back (you can manage that with a 450 or even a 550 if you are creative) so you will need help getting it around and setting it up. For all of its lifting power and redundancy, there is a cost, of course which is less flight time. Gimbals: align 5D or any camera gimbal available for a camera setup of around 3-4kg. The device that stabilizes your camera is called the gimbal and they come in various shapes and sizes. You can pick up a 3D printed gimbal to a cheap $50 gimbal to a super expensive DJI Zenmuse gimbal. How much does the gimbal weigh? Your gimbal plus camera weight should be within the range of what your copter can lift. How many axes does the gimbal have? A two axis gimbal stabilizes on the pitch and roll axes, and lets you control those two axes too, so you can pan and tilt the camera as you choose. A three axis gimbal is even more ideal and adds control over the yaw axis too, so you can swivel the camera around. Your gimbal will plug into your flight controller which will allow you to use a radio to control the gimbal. Finally, you need to decide what kind of camera you wanted mounted? Most hobby-grade gimbals are designed for cameras that have the small form factor of a GoPro camera, but you can install DSLRs, and even more professional cameras like a RED. Even though building your own aerial photography rig may seem daunting at first, it is one of the most rewarding parts of flying! I have probably spent more hours building and tweaking my custom rigs than I have flying, and I still enjoy every single bit of it! Once you get comfortable with building, no challenge will be too difficult, no wire too small to solder, and no fix impossible to attempt. Knowing the ins and outs of how your copter works will take you a long way and the feeling of accomplishing a task like this is totally rewarding. Happy flying! Let me know if you are thinking about building a drone and what your questions are or if you have already built your own drone tell me about it in the comments down below! Guest post written by Shabbier Nooruddin. Shabbier is a drone pilot who build his own custom drone rigs. He is the creator of fpvfrenzy.com and loves to spread his passion for building drones to other like minded tinkerers. any chance to have a more detailed action plan to build a photography octocopter ? I was planning to build a drone specifically for bridge inspection, so with possibly a small mirrorless camera. Is the F550 still valid or can I source better alternatives? Hello, I dont see any answers to replies above so….. I have been looking to start my first build. Every hobby shop tells me I do not want a 550mm to start with (they all want me to buy their 250mm) but I dont want a racer, I want videos. Am I wrong to think my first build can be a 550mm? i really recommend you to start with s500 quadcopter frames which are really good cheap and its just like dji phantom . As a starter i recommend a good flight controller with gps (dji naza,pixhawk) its worth for the money cause you can fly it safely .now for better videos i hope you have a gopro or any other action cameras ,i recommend you to buy a 3 axis gimbal for a stable videos you can get them in banggod and hobbyking.check out banggod cause thaey have a lot of products and offers. I want to build a simple but reliable drone to take my bait in to the sea. I have got a similar radio as cthe one showed in the picture. Please help me determine the correct motors and controlors and I would also like to ad a auto return funcktion (GPS). Hi great article, I am building my own drone and want to control the pitch using my radio transmitter (fs i6s), how do I wire up the gimbal to the radio receiver and setup the radio transmitter to do this? Excellent site. I’ve been thinking about building a drone for commercial photography (have been flying for about 12 years and fly a home built quad now) and want to do it right the first time. Thanks for the info. I`m having a hard time getting my s500 build tuned. I have an apm FC on it that came off a cheerson cx20 which was a smaller drone. I upgraded the motors to sunnysky 900kv wit 12″ props. Esc’s were replaced too. Now i’ve been trying to PID tune it. It’s too unstable to trust flying much. Are my motors and FC compatible? Should more PID tuning fix my problem or do I have component incompatibility problems? Many thanks for a great article. I am in the process of building a DJI F550 kit. Lucked out and found a new kit on clearance with motors and esc’s. My interests are some antenna work (lines over trees) but also video and photography. I am a bit puzzled by the lack of camera recommendation for the DIY drone builder. I was going to go with a RunCam Split originally, then picked up a cheap used GoPro Hero 3+ Silver, but now realize there is likely no way to control the camera from the ground. I would like to be able to start and stop video recording, and take still photos remotely. Do you have recommendations on cameras? The DJI drones have some great cameras – like the Phantom 4 Pro. Any options like that for the DIY’er? Hey, a newbie here. I’m trying to build a F550 ARF hexacopter kit, but I want a nice 3-axis gimbal + fpv camera, (1080p or 4k,) to go along with it. As I’ve said, this is my first dip into the pond of camera drones, or building drones. Anyone know of another article, or some advice? I am fairly new to drone use for business. I use a Opterra Flying wing for property surveillance on a large ranch. I also use a OFM LR700 set up for extended flight time for checking fence lines and livestock inventory. I am in need of a smaller, say 450mm, for patrolling remote areas. I would like to build it for long range video and recordable FPV to save man hours of vehicle patrols. I have not built a package to date and am struggling to determine the proper frame and package necessary for the tasks at hand. I’ve spent hours upon hours trying to fine tune my 500mm build and still don’t trust it to fly out of my clear sight. Pid tuning is something I can’t get perfect. I’m using an s500 frame, with a fairly heavy setup. I pretty much gave up on it and wanna buy a phantom. With the phantom, you get obstacle avoidance, vision positioning, plus advanced battery life and FC programming. Yea it’s fun to build, but if you want something dependable and practicle, just get the phantom and forget the headache. I am a hill runner in Scotland. I climb mountains and run hills and always wanted to take a drone with me to the top and get some good videos and photos. The risk is sudden change of weather, sudden gusts of wind at 800m+ and 200m to 600m vertical drops/cliffs. How can that affect the drone? Should I choose more powerfull motors? I am building a hexacopter similator the the on in the post DJI frame. I want to attach a gopro in a bimball to it. What are the risks? Is it possible ?